I wandered through the arts until finally finding a home in clay and watercolor. I began my career as an English teacher, loving Shakespeare and poetry, but I got very tired of grading research papers. Returning to school I earned a BA and an MA in art. Watercolor and drawing were my expertise until I took a teaching position that required me to teach ceramics. I fell in love with clay. I continued my drawing and painting, but now it was on clay with glazes and ceramic inks. I have been fortunate to be able to study at the Penland School of Arts and Crafts, Anderson Ranch, Sierra Nevada College, and the Phoenix and Mesa Art Centers. My instructors have included David Shaner, Chuck Hindes, Ben Owen, Ron Meyers, Diane Kenney, Lynn Smiser-Bowers, Kristen Keiffer, Tom Coleman, Steven Hill, and Seth Rainville. I have exhibited my ceramics with the Sonoran Art League, the Shemer Art Center, Arizona Clay, ASU's Art Museum and Ceramic Research Center, and the Belloumini Gallery in Scottsdale. 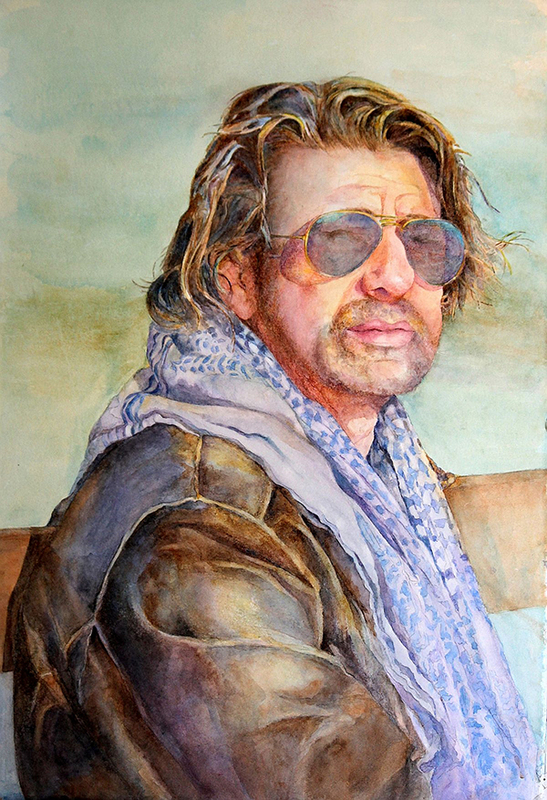 After a serious car accident I had to end my ceramics career, but I returned to drawing and watercolor in 2011. Specializing in portraits of people and animals, I like to capture people going about everyday moments of their lives. I tell stories and watch for a mood, a gesture, or some spark that makes each of us unique. My paintings begin with an accurate drawing taken from black and white or color photos. Then I lay in glazes over these images to find shapes that will build the figure. I look for color in shadows and reflections, and color that glows through the skin. I have continued to study watercolor with Ted Nuttall, Kim Johnson, Charles Reid, Andy Evansen, Mario Robinson, Eric Wiegardt, Michael Reardon, Mort Solberg, and Bev Jozwiak. 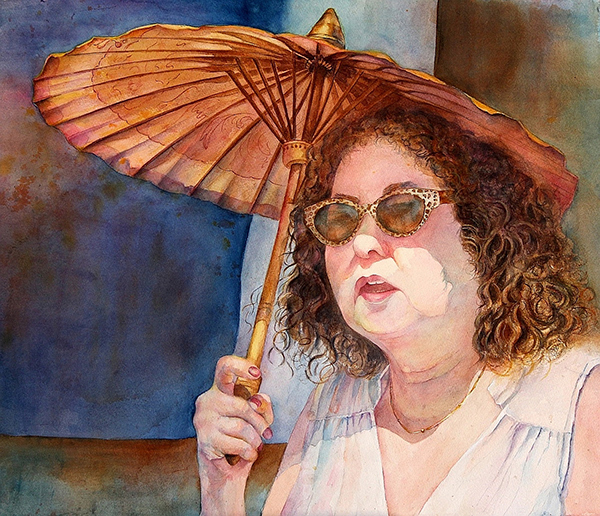 My watercolors have been juried into numerous shows and have won many awards. 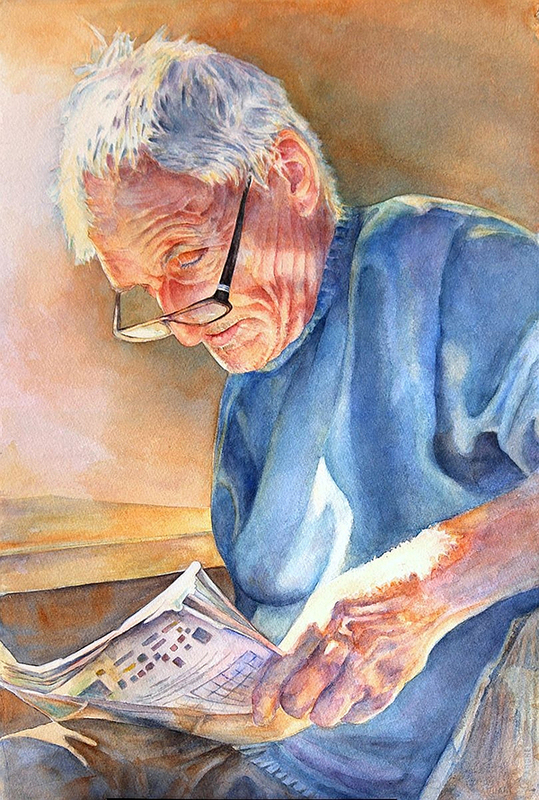 These shows include the Scottsdale Artists' School, the Arizona Watercolor Association, the Western Federation of Watercolor Societies, and the National Watercolor Society. In 2016 my painting "Tiny Umbrella" was published in The Best of Watercolor, Splash 17: Inspiring Subjects. 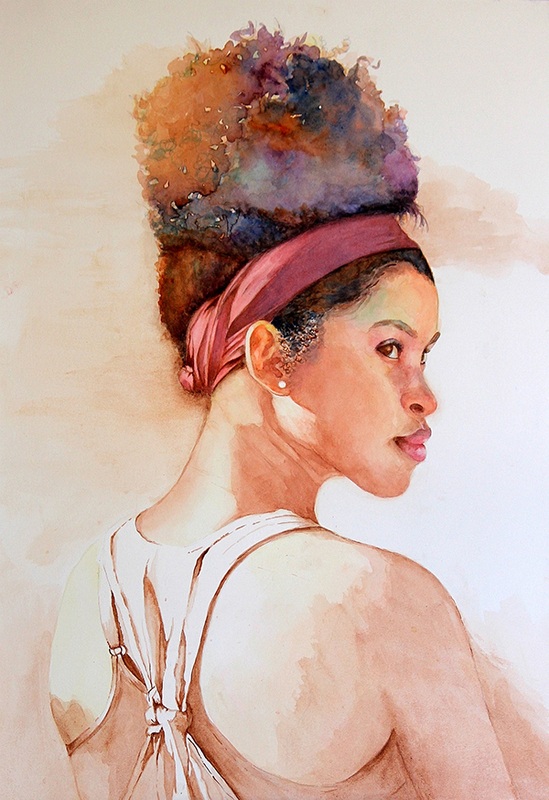 I was awarded signature membership in the National Watercolor Society in 2016. Both my ceramics and my watercolors can be viewed at www.carolbakerart.com.